I love this time of year, cold temperatures and all. There is so much cheer and bright hopes for the new year in the air that I can't help but feel optimistic. This year has been incredibly inspiring and filled with great moments because of the people in them. There is no question that I worked hard, as many of you have as well, but there is a general sense of fulfillment and blessings as we say Adios to 2017. I got to be a part of many people's lives through mindful workshops hundreds of miles apart and basked in the "aha" moments we all enjoy in the company of creative energy as our talents flourish and we share with one another. My hope for all of you and those I have yet to meet face to face, is that you enjoy the moments that you create and learn from the wisdom of encounters; there is something to be learned in everything we do. More importantly, don't forget to be yourself and wear your individuality proudly; I can't stress this last sentence enough. TIR is my new motto - Teach, Inspire and Rest in the New Year; I have committed myself to handwriting a note every day even if it's only two sentences, learn something new and continue helping non-profits that are interested in expanding textile arts in their communities, by donating new Janome sewing machines. Hand-stitching my way through 2018 is also a primordial goal. Thank you for being a part of my artistic family and welcoming me as a source of inspiration into yours. I have unique workshops in store for the new year and hope you can join me. Many thanks to all the quilt guilds from Madison to Hudson, WI for inviting me to present this year. It sure was a most delightful highlight. 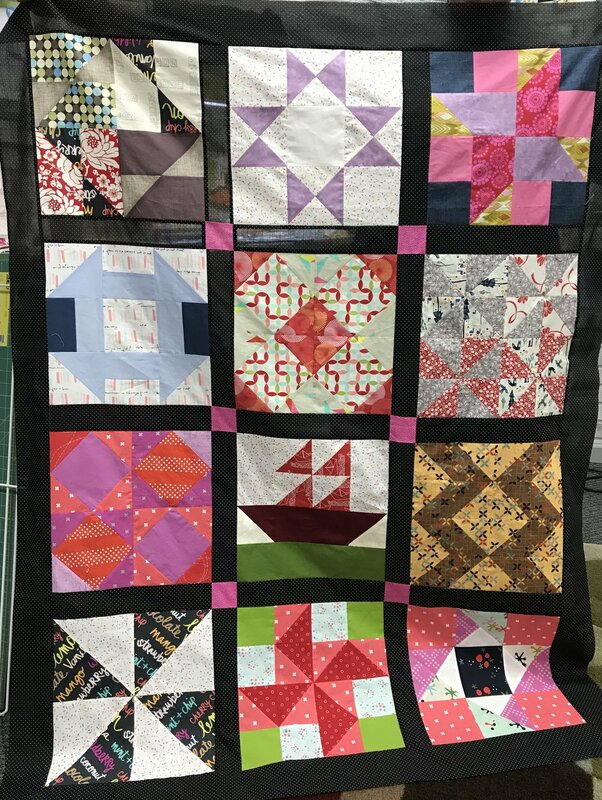 I share a few photos from a die cutting mystery block of the month club I led in 2017; it really was a complete mystery as participants joined and received fabrics from my stash as well as a "ready to sew" block every month. Many thanks to those ladies that took a chance! Cheers & Happy, Healthy, Creative, Restful 2018 to you and your loved ones!